Users who access ‘Saleslive’ services for small, medium and large organizations count on its security and data protection. 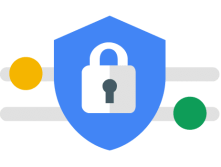 We take security very seriously and have developed a comprehensive set of practices, technologies and policies to help ensure your data is secure. If you are currently maintaining your data on personal computers or your own servers, the odds are that Saleslive offers enhanced levels of security. Saleslive outlines some of the mechanisms and processes we have implemented to help ensure that your data is protected. Cloud security at Saleslive is the highest priority. As a Saleslive customer, you will benefit from a data center and network architecture built to meet the requirements of the most ‘security-sensitive’ organizations. An advantage of the Saleslive cloud is that it allows customers to sell and innovate, while maintaining a secure environment. "Get latest sales tips sent to your inbox."